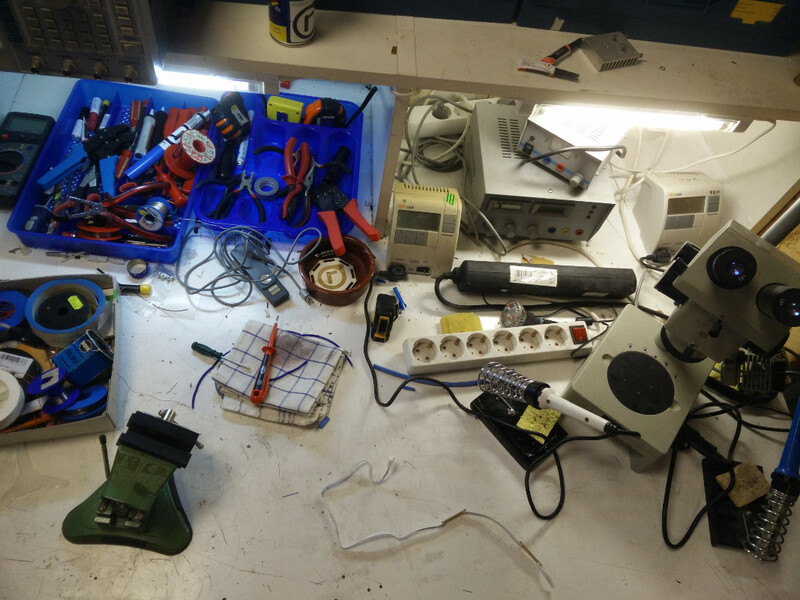 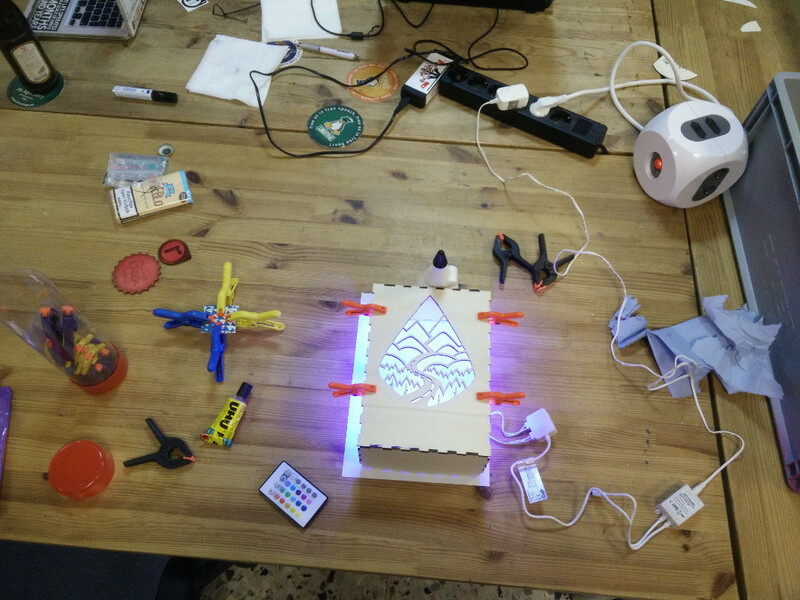 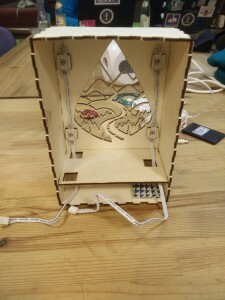 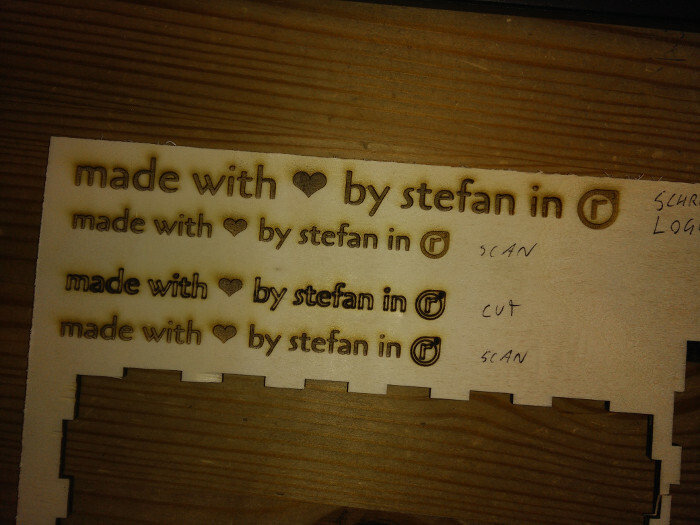 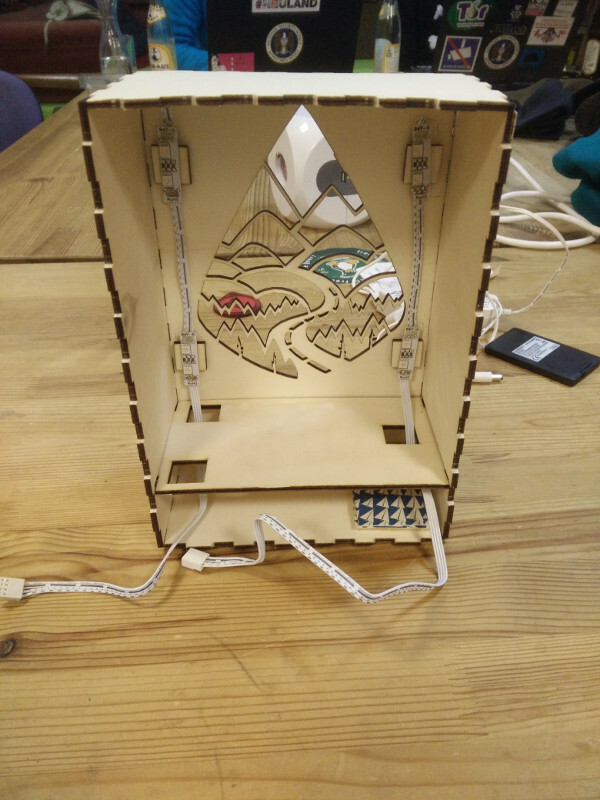 Although not a big fan of Christmas, tradition, and Christmas tradition, Stefan used the realraum nightshift to build a lamp as a Wichtel present. 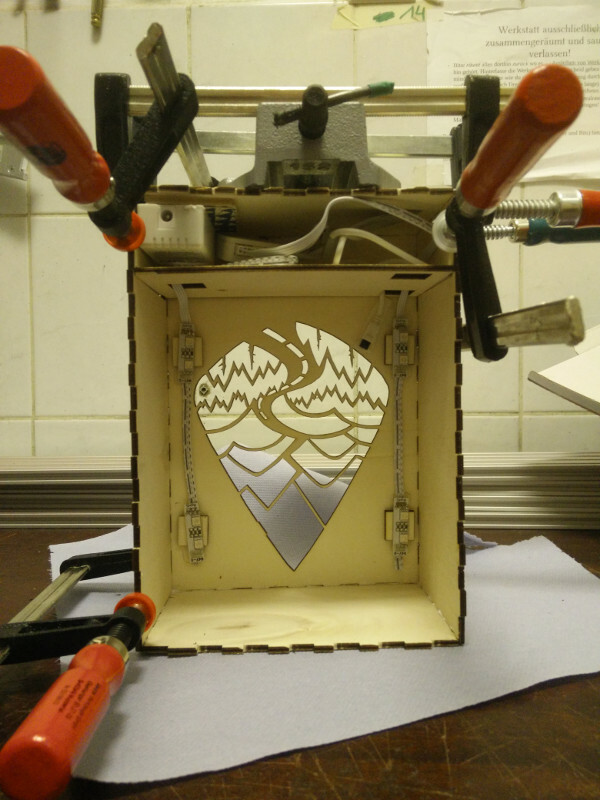 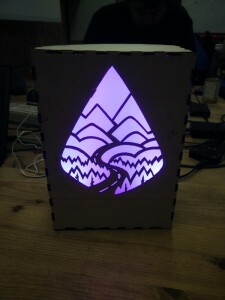 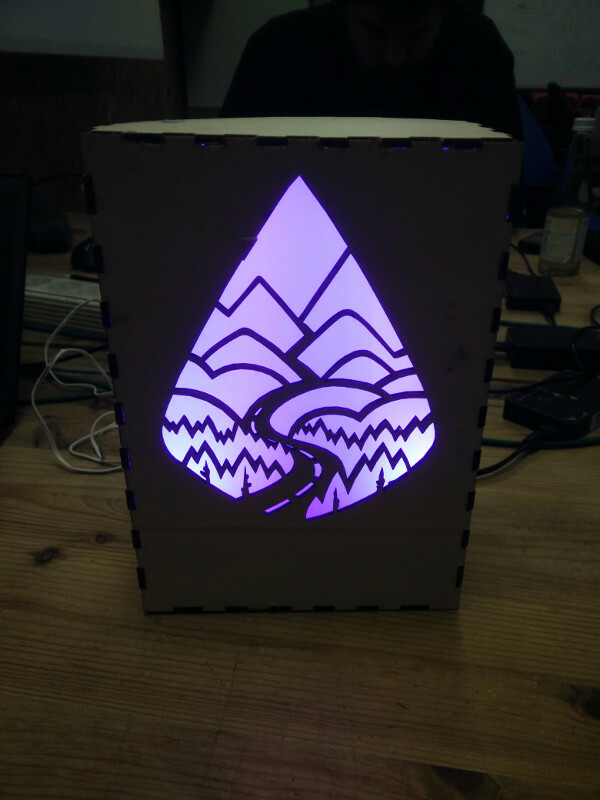 The lamp features a mountain on the front side, which is lit from the inside by some simple LED setup. Furthermore, it is able to change the color of the light via an IR remote. Special thanks to erdbrbl, equinox and xro for their assistance, guidance, and teaching me how 2-components adhesive works. 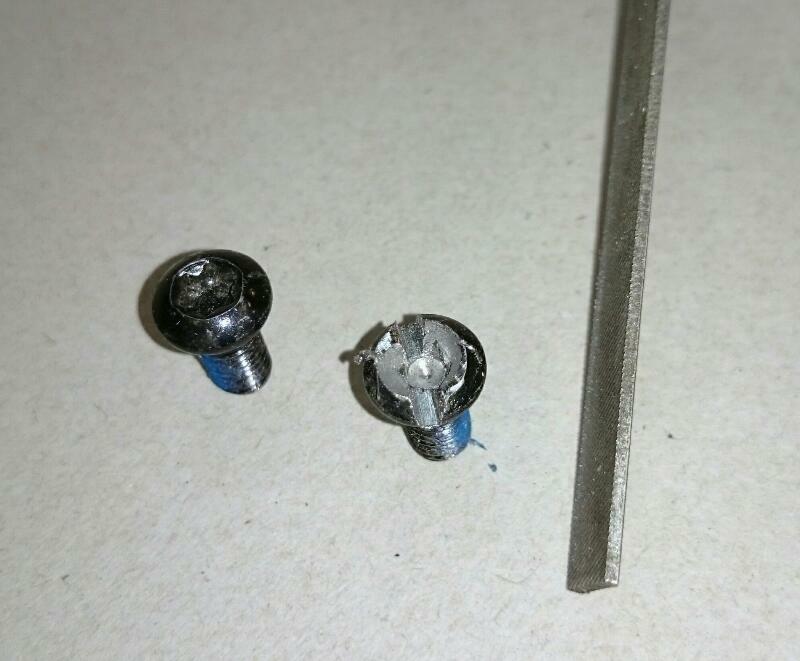 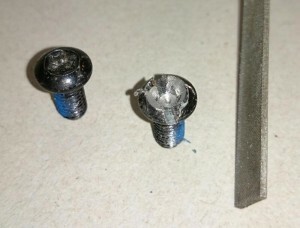 If your screws screw you over, just file it away and screw them back.